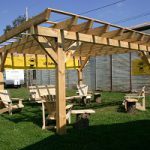 Upgrade any plain or grassy space with one of our quality timber frame structures, and create a meeting point that didn't exist before. Our many size and style options means there's something here for you no matter what space you have to work with. Add a small trellis-style pergola to your garden or create an impressive outdoor space for parties. 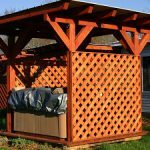 Add some lattice for some privacy or add some metal roofing for some shade....there's no limit to the number of different ways you can utilize your new pergola.